#GivingTuesday is a global day that harnesses the collective power of individuals, communities, and organizations to encourage philanthropy and to celebrate generosity worldwide. 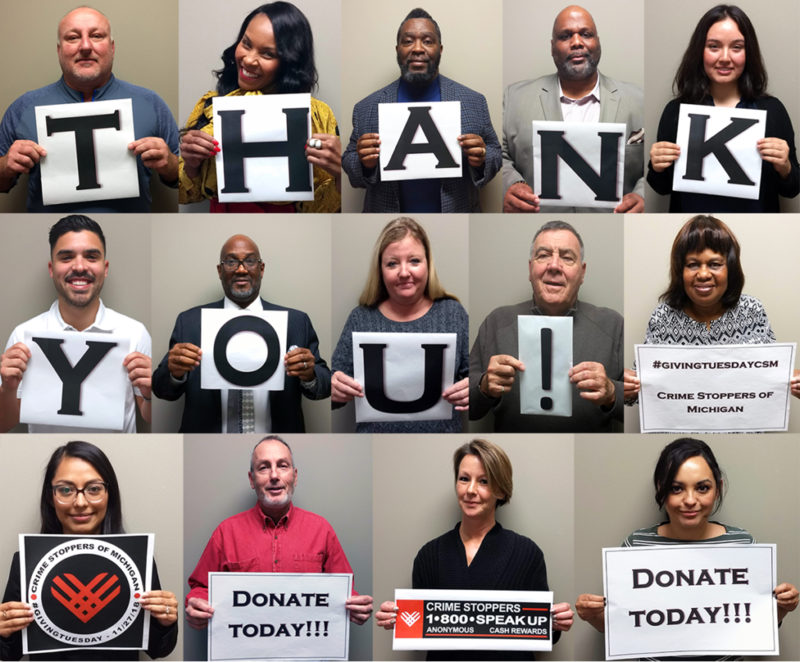 Following Thanksgiving and the widely recognized shopping events Black Friday and Cyber Monday, this year’s #GivingTuesday will take place on November 27th and will kick off the season by inspiring people to collaborate and give back. Crime Stoppers of Michigan has joined this effort to help more communities, families, kids and animals who have been affected by crime in the seven counties of southeast Michigan and help to prevent other mothers, fathers, grandparents, sons, daughters, grandchildren, dogs and cats from becoming a victim of a crime. With help from supporters Crime Stoppers of Michigan will continue to provide support to our law enforcement agencies while at the same time, providing hope to the victims and families affected by crimes of any kind. Over 28,000 anonymous tips were received. 50% were from the suburbs. An estimated $450,000 was awarded to tipsters for arrests made.